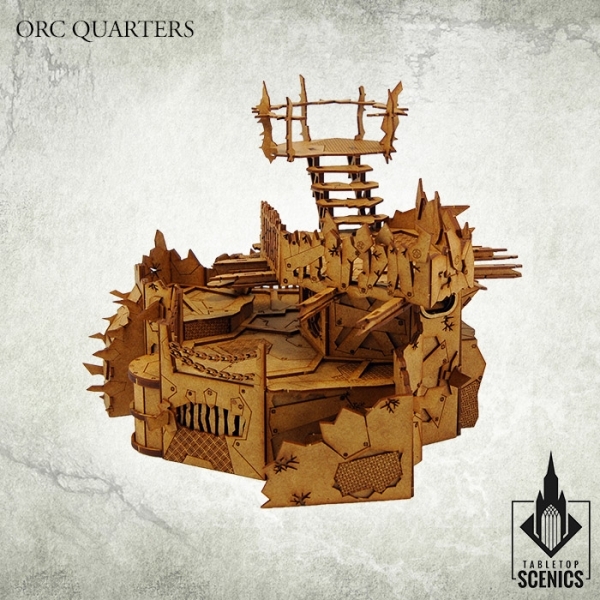 Contents of this frames may be used to make 1 Orc Quarter. Dimensions: width 21m, depth 18cm, height 16cm. 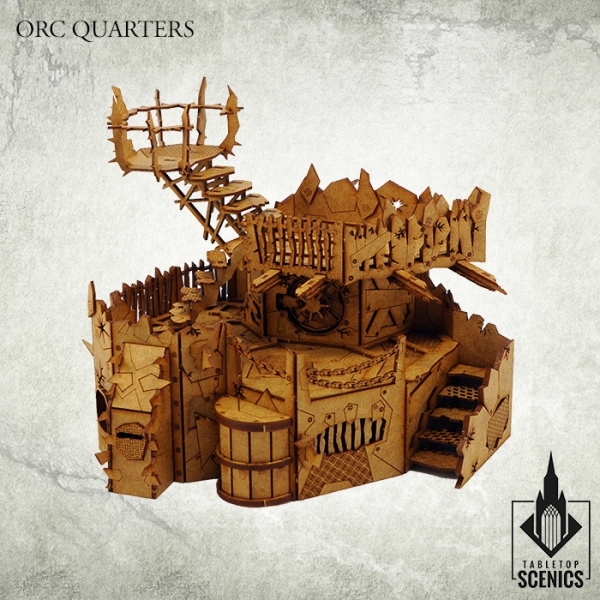 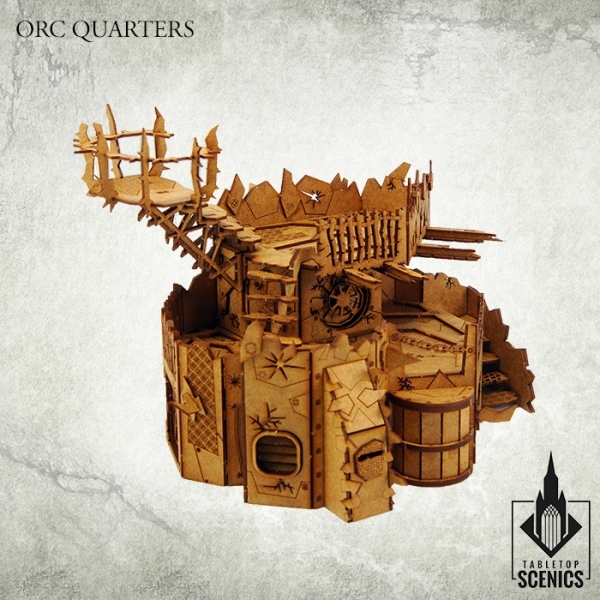 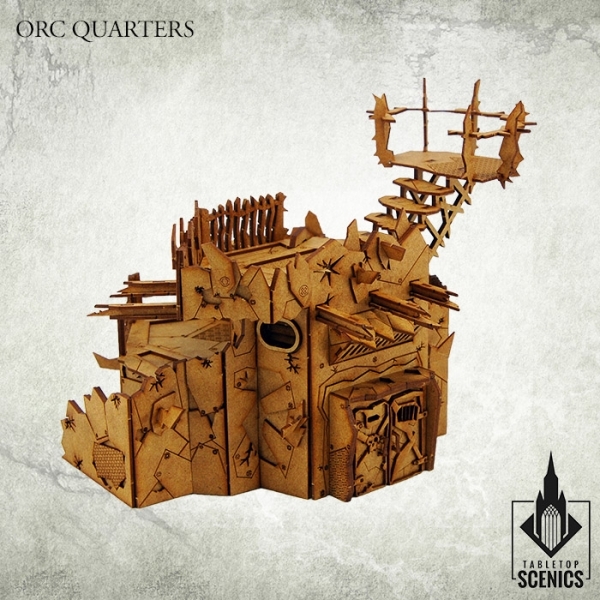 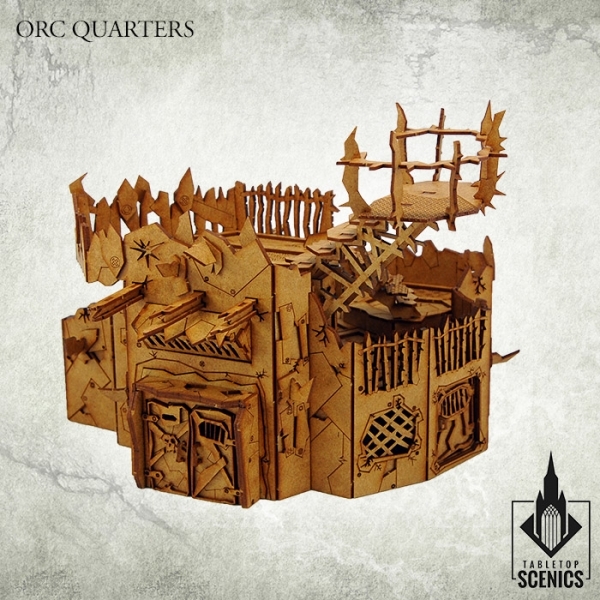 Sporting a nice view of its neighbourhood, Quarters give Orc much needed space for loot, gnaw-pets and nap-time. 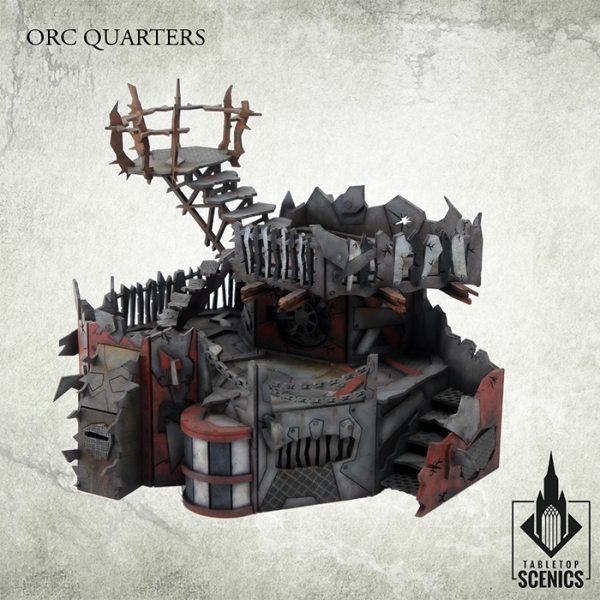 However, it easily becomes a fortress on its own, with spikes and embrasures, and multi-level rooftop used as a firing point. 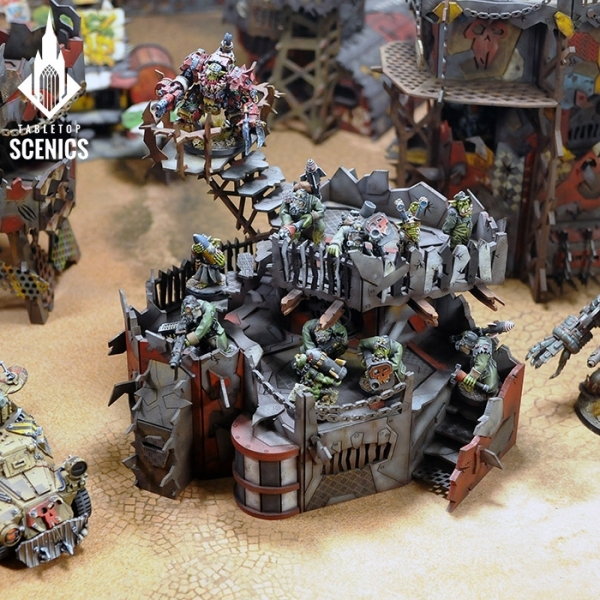 Every wall is upgraded with each successful raid, its inhabitants enforcing the cover with pillaged materials.